Love it or loathe it, Pokemon Go has swept across the globe and taken over our streets and cities. In the last week alone, the game has broken several download records and it seems like almost everyone you see walking around is playing it. 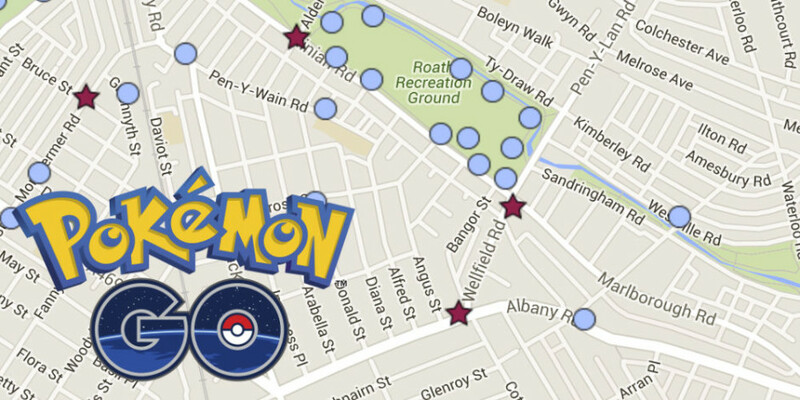 For those of you hunting Pokemon in Roath, Chris Murphy (@murfilicious) has created a Google map of all the Pokemon gyms and pokestops in the local area. He says that Roath is the area he feels is most complete now and is now working on exploring and recording other areas of the city. We, at RoathCardiff, explored the Rec, rose gardens and Roath lake to see what we could find and we were not disappointed, despite not finding Pikachu! There were plenty of water-centric pokemons to be found with Magikarps and Dratinis around the lakeside. Such is the popularity of hunting Pokemons, This is Rock have organised a giant Pokemon hunt this Sunday (tomorrow) which is free to join. For ticket details, check out their Facebook event. Have you found Pikachu in Roath or any other prestigious pokemons in the local area? Let us know if you do!